The vegetative stage in nature occurs when plants receive 13 or more hours of light per day. This number varies a little from plant to plant (genetics) and from one situation to the next. Indoors, the standard vegetative light cycle is anywhere from 18 hours of light per day to 24 hours of light per day (with no dark period at all). Digital timers are the best way to control the light cycle in my opinion, and are absolutely required once you get into the flowering stage. In the vegetative state, plants rush to grow leaves and stems that will feed and support the fruits of the flowering stage. To do this, plants in the vegetative stage require more Nitrogen and Potassium in their plant food. For lighting tips on growing plants vegetatively, see fluorescent lighting tips and also metal halide lighting tips. The strength of your nutrient solution depends on the plant varieties you are growing, the maturity of your plants, and also the intensity of the light(s) you are using. Plants generally require stronger and stronger nutrient solutions as they mature and begin to flower. Plants grown under a 600 watt Metal Halide grow light will generally require a stronger nutrient solution than the same plants grown under fluorescent grow lights. You should ALWAYS use a TDS meter or an EC meter to check the strength of your nutrient solution before feeding it to your plants. 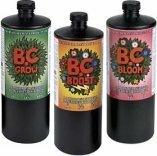 I often tell beginning gardeners to start with a quality, three part hydroponic nutrient their first time around, and for their first grow I usually recommend they use ONLY the three part nutrients and NO additional supplements. Maxsea 16-16-16 is an affordable fertilizer option made from a base of seaweed...which means you will also be getting some plant hormones with the fertilizer. 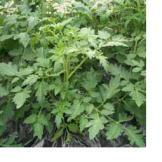 It can be used both in a hydroponic system, and also feed plants grown in soil. I add to this 1/4 tsp/gallon Epsom salts (because Maxsea contains very little Magnesium). Once you are comfortable with basic fertilization, there are a few supplements that I highly recommend. I add Thrive Alive B1 to every drop of water I use, start to finish, at a rate of 10ml/gallon. For the vegetative stage of growth, as soon as clones have roots I begin feeding with a nutrient strength of about 400-500 ppm under approximately 25 watts/sq.ft. of light. I tend to increase the nutrient strength 100ppm each week, but young veg plants will likely suffer if you begin giving them more than 700ppm without also increasing the light intensity. By increasing the light intensity and the nutrient solution strength to flowering levels, your plants will transition more easily into flowering. I would also recommend using 10 ml/gallon Maxicrop liquid seaweed with your fertilizer. Seaweed supplements contain a complete compliment of trace nutrients, and also have some plant hormones. If you are using seaweed-based Maxsea as your primary fertilizer, this is not necessary. When your plants are big enough, you can cut the light cycle to 12 hours on/12 hours off to force flowering and begin the flowering stage.